Over two thousand Israelis died as a result of air pollution in 2017, representing a drop of 16%. Approximately half of those deaths were the result of pollution due to vehicles. Environmental Protection Ministry Director-General Yisrael Danzinger also spoke about the ministry's activities for various issues. 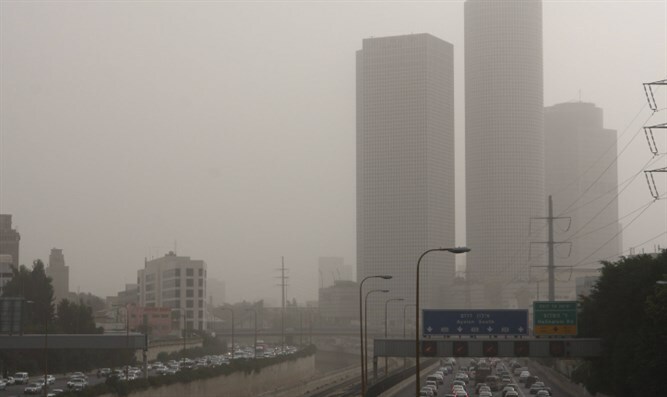 Environmental Protection Minister Ze'ev Elkin said, "Every year, 2,200 Israelis die from air pollution. Of those, about half die from air pollution caused by vehicles. That is more than the number of people who die in car accidents, and the scope is enormous." "The new plan to fight air pollution from vehicles will save the lives of 350 Israelis each year - about the same number of people who die in car accidents. This is an issue of saving human lives, and it's that simple. And if that is the only reason I became Environmental Protection Minister, it's good enough for me, I've saved human lives." The new plan would invest 260 million NIS to scrap old diesel vehicles, install filters, encourage alternative forms of transportation, and create 'clean air' areas in city centers. Diesel vehicles make up 20% of vehicles in Israel, but they create 80% of the pollution. If the plan were implemented, it would reduce air pollution by 30%.